3) Partial offsetting of higher soil P levels resulting from manure application and limiting P loss to local surface water. This article will unpack some of the potential benefit of manure to soil quality by reviewing past research for clues as to manure’s benefits. Several research studies have documented manure application impact on improvement of soil physical properties. This article examines published research by Charles Wortmann and Charles Shapiro, “The Effects of Manure Application on Soil Aggregation”. 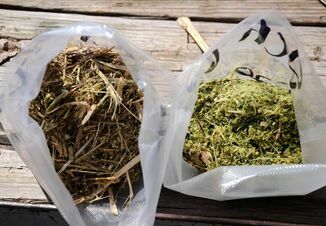 This article demonstrates the take home message that manure improves the physical characteristics of our soils not experienced with commercial fertilizer. These improvements to the soil aggregates opens the possibility for environmental and economic benefits. This possibility will be explored in future articles.